A federal judge has denied an El Paso abortion clinic temporary relief from a new state requirement that physicians who provide abortions obtain hospital admitting privileges. A federal judge on Wednesday denied an El Paso abortion clinic temporary relief from a new state requirement that physicians who provide abortions obtain admitting privileges at a hospital within 30 miles of an abortion facility. As part of a second lawsuit filed by a coalition of abortion providers against strict abortion regulations passed by the Republican-led Legislature in July, the Center for Reproductive Rights and its allies sought a temporary restraining order for the Reproductive Services clinic in El Paso. Earlier this month, doctors at the clinic lost admitting privileges at a nearby hospital, forcing the clinic to cancel future appointments. At Wednesday's court hearing, District Judge Lee Yeakel rejected the abortion provider’s claim that women in the area now face an "undue burden" by having to travel across the state border to New Mexico to obtain abortions. Stephanie Toti, a senior staff attorney for the Center for Reproductive Rights, which is representing the coalition of abortion providers, argued that the admitting privileges rule would force abortion seekers in El Paso to travel to New Mexico, where providers are not required to have privileges. “It’s the very definition of arbitrary,” said Toti, adding that many impoverished women in El Paso have limited access to transportation. State attorney Jimmy Blacklock argued that the 5th Circuit Court of Appeals already rejected these claims in another lawsuit — filed by the same coalition of abortion providers — that challenged the hospital admitting privileges provision. Following Yeakel's decision, the abortion providers withdrew a request for temporary exemption that involved another clinic, Whole Woman’s Health in McAllen, which recently closed as a result of the new regulations. The coalition of abortion providers will proceed with the lawsuit, which also challenges new regulations that require abortion facilities to meet the same structural standards as ambulatory surgical centers. 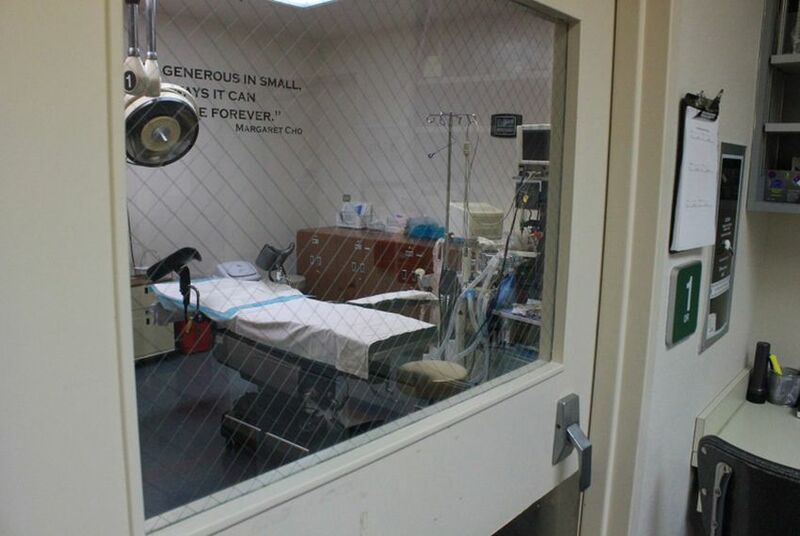 There are currently six ambulatory surgical centers that perform abortions in five of the state's major cities: Austin, Dallas, Houston, Fort Worth and San Antonio. To continue providing abortions, the remaining 22 licensed abortion providers in the state — only 18 of which still perform the procedure — must upgrade their facilities to meet ambulatory surgical center requirements by September, when the rules go into effect. Several other lawsuits that involve similar admitting privileges provisions are making their way through federal courts in other states. Yeakel said it’s likely that at least one of the cases will reach the U.S. Supreme Court. In his final remarks, he encouraged both parties to expedite their litigations plans.